New research by Both ENDS, Fossielvrij NL and urgewald shows that, in 2017, pension fund ABP invested 500 million euros more in coal, oil and gas than in the previous year – a total of 10.9 billion euros. These investments in fossil fuels not only stand in sharp contrast to ABP's claim that it has achieved substantial successes in its climate policy, but are also in flagrant violation of the Paris climate agreement. Unlike international forerunners among pension funds, ABP continues unabated to invest in the fossil energy sector. "For the second year in succession, ABP has sent out the wrong signals by increasing its investments in the coal, oil and gas industry, while it aims to be a sustainable pension fund by 2020", says Chris Roorda of the ABP-Fossielvrij campaign. "ABP proudly declares that its CO2 footprint has now been reduced, but only looks at emissions by businesses it invests in and by the production of the energy purchased by these businesses. But the fossil fuels extracted from the ground by the coal, oil and gas industry ABP invests in will of course also be burned in the end and generate CO2 emissions. ABP does not include those extra emissions at all in its calculations." Because investments in the fossil sector are so large that they only become profitable after twenty to thirty years, the world will continue to be dependent on fossil fuels for a long time, and CO2 emissions will be greater than the climate can absorb. "And all that, while it is abundantly clear that coal, oil and gas should stay where it is, below the ground", says Roorda. The greatest percentage of ABP's extra investments in the fossil sector went to Shell and ExxonMobil. These companies are among the world's top ten worst polluters and are notorious from Groningen to Nigeria for the harm they cause to the environment and for disrupting local communities. ABP made additional investments not only in the oil and gas industry, but also in the coal industry, which pollutes the climate even more. These investments amounted to 265 million euros more than in the previous year. That brought ABP's total investments in the fossil fuel to no less than 10.9 billion euros. These investments are completely at odds with the climate agreements made in Paris and with ABP's own Visie 2020, launched in December 2015. 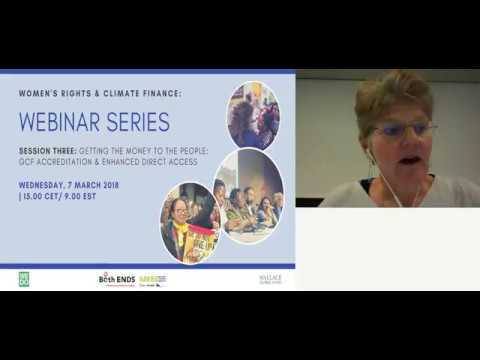 "It is immoral and unimaginable that the contributions of millions of participants in the ABP pension fund are invested in a sector that is causing climate change, extensive environmental damage and serious violations of human rights", says Cindy Coltman of Both ENDS, co-author of the research report. "Reasons enough for ABP to keep its promises as soon as possible and to stop investing in the fossil sector. Fellow pension funds BPL and PME in the Netherlands and pension funds in Norway, Sweden and Denmark, for example, prove that this is most certainly possible." The shadow report 'Still Dirty, Still Dangerous: The Fossil Fuel Investments of Dutch Pension Fund ABP' has been published today, to coincide with the publication of the ABP's sustainability report. In 2017 Both ENDS stepped up its efforts to stop the Dutch government from supporting the fossil fuel industry. Phasing out fossil fuels is key to achieving the goals set in the Paris Climate Agreement. To Both ENDS, there is another reason: fossil fuel-related projects often have disastrous effects for the poorest people in the Global South. The Dutch pension fund, ABP, invested about two billion euros more in the fossil energy industry at the end of 2016 than the year before. This is announced by the report "Dirty & Dangerous: the fossil fuel investments of Dutch pension fund ABP," published today by Both ENDS, German urgewald and Fossielvrij NL. The report criticizes these investments because of the impact on the climate and the catastrophic consequences for the people in the areas where coal, oil and gas are being produced. Although outgoing economics minister Henk Kamp stated in May of this year that fossil fuels are not subsidised in the Netherlands, a report out today shows that this is clearly not the case. The report. ‘Phase-Out 2020: Monitoring Europe’s fossil fuel subsidies’, by the Overseas Development Institute (ODI) and Climate Action Network Europe (CAN-Europe), says that the Netherlands is supporting the fossil sector at home and abroad with more than 7.6 billion euros a year (1). The Netherlands made international agreements as long ago as 2009 (2) to ban subsidies for fossil fuels. Environment NGO Milieudefensie and Both ENDS – both members of CAN-Europe – call attention to these findings because they find it unacceptable that the government perpetuates our dependence on fossil fuels in this way. Last June, Both ENDS published a report which showed clearly that, through export credit insurance provider Atradius Dutch State Business (ADSB), the Netherlands is supporting the fossil fuel sector on a large scale. Between 2012 and 2015, ADSB provided billions of euros in insurance and guarantees, on behalf of the State of the Netherlands, to fossil-related export projects. This support is completely out of line with the Paris Climate Agreement. On 20 June, members of parliament Lammert van Raan (PvdD) and Sandra Beckerman (SP) submitted questions to the State Secretaries for Finance and for Infrastructure and the Environment. Every 10 years, the mandate and activities of 'Export Development Canada' (EDC), the Canadian export credit agency, are reviewed. Since the last review took place in 2008, another review is currently underway. Both ENDS and a couple of other CSOs working from a number of countries made a joint submission as formal input to the legislative review. We did this especially in light of the Canadian governments' ambition to show leadership on climate change and to prioritise climate change action and clean economic growth. Eurodad's International Conference is co-hosted by Eurodad's Dutch members ActionAid Netherlands, Both ENDS, OIKOS, Oxfam Novib and SOMO. It will be held in the Caballero Fabriek in The Hague.